I Know, Stroganoff is not Brazilian food. 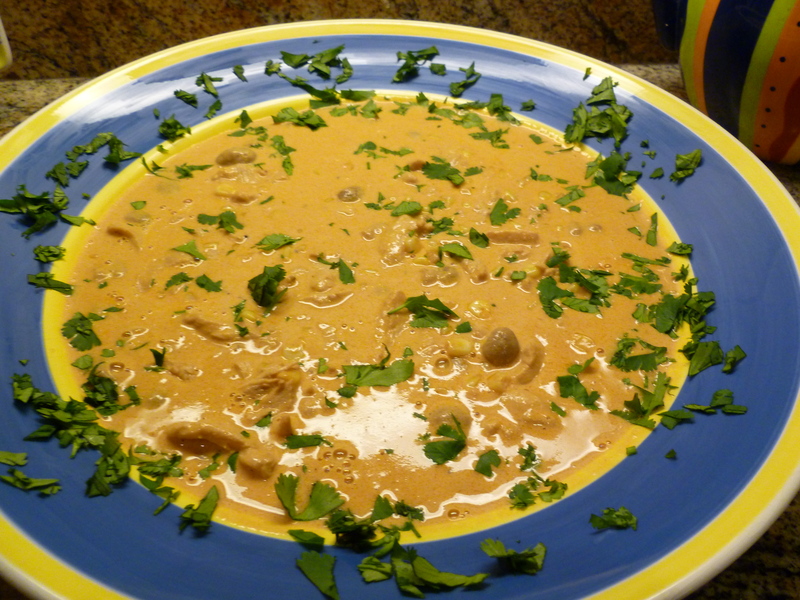 We all know it is Russian but Brazilians love Stroganoff and they developed many different ways to prepare and serve this favorite dish. When researching for the original Russian recipe I found that Russians also have different ways to prepare, some use sour cream , others milk cream. In the United States the recipes use sour cream and they like to serve over pasta. Brazilians don’t use sour cream or serve over pasta. They like to use milk cream and serve Stroganoff over sauted potatoes or over white rice with finely shredded fried potatoes. I adapted the Brazilian recipe that uses” Nestle” media crema for fresh heavy cream or whipping cream it makes for a fresher and better taste. 1) Melt butter with oil in a large saute pan, add onions, garlic and chicken. Let chicken cook until golden brown . 2)Add juice of 1 lime, salt and pepper to taste and cover for 5 min. 3)Add Cognac, tomato paste, Worcestershire sauce, mustard and Catsup and let it cook for another 5 minutes. 4) Add mushrooms , cover and let it cook another 5 minutes. 5) Add cream , folding it gently, reduce the heat to low and let it bubble, stirring occasionally. 6) Garnish with fresh parsley. I like to serve this dish over white rice and sprinkle shredded fried potatoes* on top. 1) Peel potatoes and shred them in a food processor. 2) Heat oil in a large frying pan, add potatoes make sure both sides are golden brown. Let them dry on paper towel and sprinkle some salt. ← Brazilian Coconut and Caramel Swirl Cake.